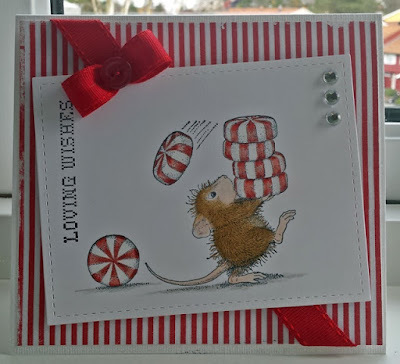 Hos Dorte: Lets eat, a DT card for HM&FMC! 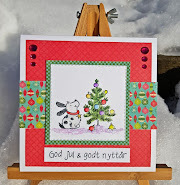 Hi Dot this cute guy is adorable great colours fab take on the option theme. Adorable image beautifully coloured great design. 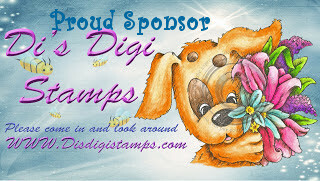 I just looked at that stamp today where I went for a class. Hi Dorte, I love this little guy trying to carry all those mints, an the striped paper background is perfect. This is so cute! Love how you added the ribbon too! Very cute card. Thank you for joining in the QKR Stampede challenge this week. This card is just to cute! Wonderful pencil work. Thanks so much for joining us at AYLI Challenge! Adorable card Dot. 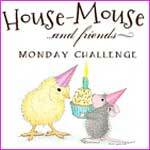 Love your mouse.